Advancing care for older people across health specialties, the American Geriatrics Society (AGS) and the AGS Health in Aging Foundation today announced that Tony Rosen, MD, MPH–Assistant Professor of Medicine at Weill Cornell Medicine and Attending Emergency Physician at New York-Presbyterian/Weill Cornell Medical Center–will receive this year's Jeffrey H. Silverstein Memorial Award for Emerging Investigators in the Surgical and Related Medical Specialties. Presented at the AGS 2018 Annual Scientific Meeting (#AGS18, held May 3-5 in Orlando, Fla.), the award will recognize Dr. Rosen for a comprehensive review of programs to address the abuse of older individuals that he and colleagues conducted. "Expanding access to the care we all need as we age means forging new in-roads for geriatrics across all healthcare specialties," noted AGS Board Chair Ellen Flaherty, PhD, APRN, AGSF. "As an emergency medicine physician with an interest in older adult care, Dr. Rosen's career–and his expertise–help to exemplify that need, and how we hope to meet those needs at the AGS." 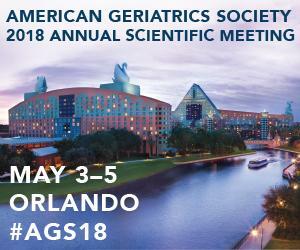 For his presentation at #AGS18, Dr. Rosen and colleagues evaluated more than 100 programs designed to identify, address, or prevent the mistreatment of older individuals. According to Dr. Rosen's evaluation, most programs focus on raising awareness and public education, as well as developing inter-professional healthcare teams equipped to confront the challenges of physical, social, emotional, financial, and sexual abuse. Importantly, Dr. Rosen and his colleagues note that many such programs hold promise for helping resource-constrained communities. Unfortunately, only 2 percent of programs evaluated used high-quality study designs, suggesting that advances are needed within the field in evaluation research. Dr. Rosen has spent nearly a decade researching elder abuse and injury prevention for older adults, with a particular focus on improving healthcare provider engagement in identifying, preventing, and intervening to address mistreatment. A recipient of numerous private and public grants supporting his research, Dr. Rosen served as a content expert at the 2015 White House Elder Justice Forum and as a panelist at the 2015 National Institutes of Health workshop on Multiple Approaches to Understanding and Preventing Elder Abuse. The author or co-author of more than 30 research articles, Dr. Rosen earned his medical degree in 2010 and began pursuing a research interest in the intersection of geriatrics and emergency medicine after completing a Geriatric Emergency Medicine fellowship at Weill Cornell Medicine. In Dr. Rosen's own words: "This additional training was invaluable in improving my understanding of the unique challenges in providing acute care to older adults and developing a career in emergency department-based elder abuse research." The Silverstein Memorial Award is one of several honors conferred by the AGS at its Annual Scientific Meeting. The 2018 award recipients include more than 15 healthcare leaders representing the depth and breadth of disciplines championing care for older adults. For more information, visit Meeting.AmericanGeriatrics.org. The Health in Aging Foundation is a national non-profit established in 1999 by the American Geriatrics Society to bring the knowledge and expertise of geriatrics healthcare professionals to the public. We are committed to ensuring that people are empowered to advocate for high-quality care by providing them with trustworthy information and reliable resources. Last year, we reached nearly 1 million people with our resources through HealthinAging.org. We also help nurture current and future geriatrics leaders by supporting opportunities to attend educational events and increase exposure to principles of excellence on caring for older adults. For more information or to support the Foundation's work, visit HealthinAgingFoundation.org. The Silverstein Memorial Award for Emerging Investigators in the Surgical and Related Medical Specialties recognizes emerging researchers across health care committed to careers in scholarship on aging. Their geriatrics-focused work in surgical and other medical specialties helps to advance the unique care we all need as we age.